Snapchat is one of the most popular social media applications that allows users to share their moments or messages in the form of pictures or “snaps” as they say them. the main feature and catch point of the Application is that it is used to take pictures, videos, and messages, to be sent to another Snapchat user, and these stay for only a short period of time, after that it becomes inaccessible. 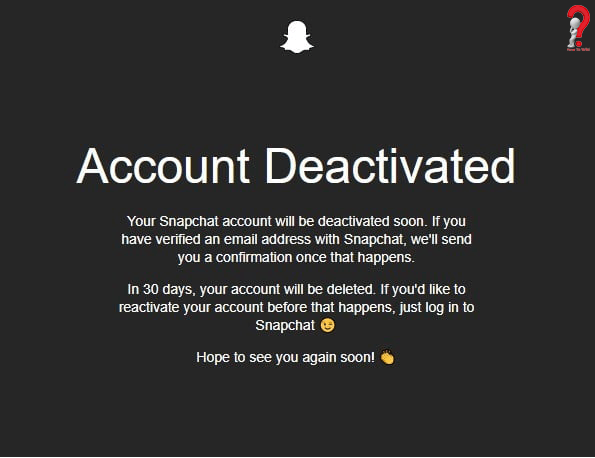 Due to some security reasons and recent celebrity backlash, some users might be searching solution for how do you delete the Snapchat account, if you are one of them and are ready to permanently delete your account, you can follow these simple steps to do so. 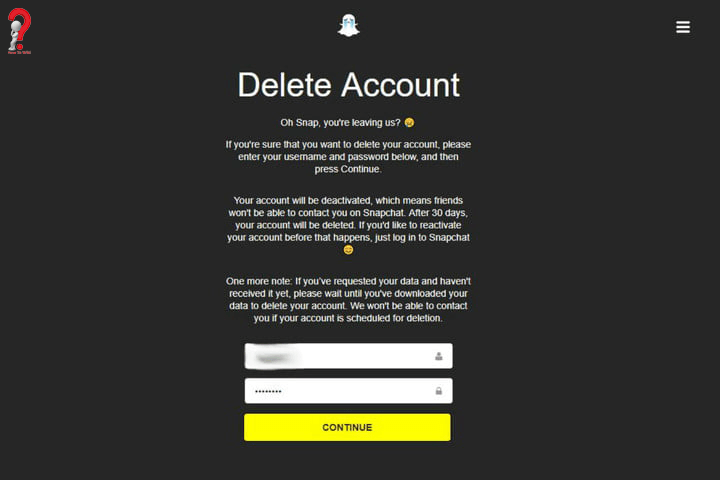 Snapchat doesn’t allow you to delete your account from the application itself. For that, you have to log in on the desktop site of Snapchat, you can also do this in your mobile browser. 2. Search for the Delete my Account Button, click on it, it will redirect you to a new page where you need to renter you password. 3. Re-enter your password on the next screen, and click on continue. 4. Confirmation will show that you have deactivated your account successfully. Tap on the support icon and here type Delete my account in the search bar. Enter your Snapchat password to confirm. Tap the button saying Delete My Account to permanently close your account. 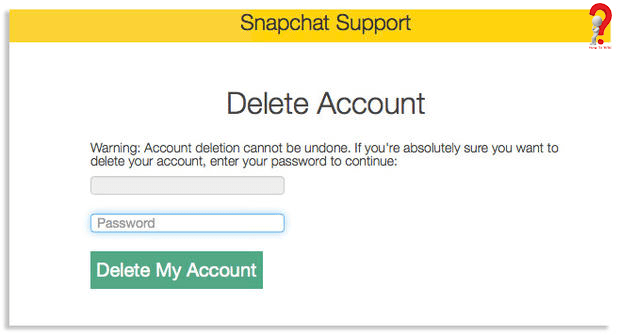 There you go, now you have deleted your Snapchat account. Now you can either take a break from using such apps or can start fresh and make a new account on Snapchat, it is completely up to you. You can try other social media apps too if you want. If you have any further queries, you can post them in the comment section, happy to help always! !